Well it seems that Nickelodeon has indeed cancelled Sam & Cat. The sitcom is ending after one extended season. A combined spin-off of Victorious and iCarly, Sam & Cat finds Sam Puckett (Jennette McCurdy) and Cat Valentine (Ariana Grande) becoming friends and roommates. To make money they start an after-school babysitting business. Maree Cheatham, Cameron Ocasio, and Zoran Korach co-star. The series was initially picked up for 20 episodes and they started airing in June 2013. It was such a big hit that the cable channel ordered 20 more after just one month of airings. The series was on track to be renewed for a second season but some backstage issues derailed Sam & Cat towards the end of its first year of production, resulting in only 36 episodes being produced. 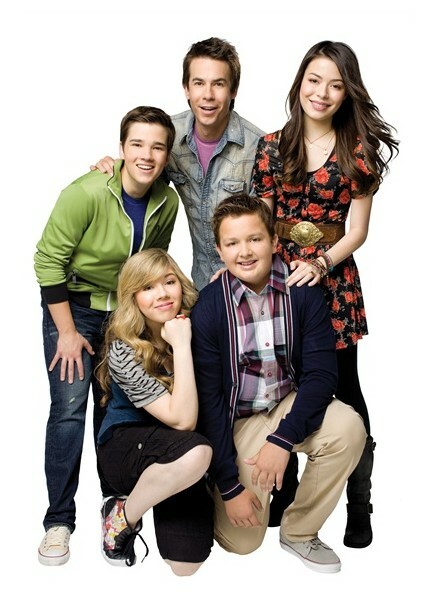 The sitcom was later put on “permanent hiatus” and Nickelodeon was expected to make a final decision about the show’s future at a later date. Well, they appear to have quietly made that decision and the show is over. What do you think? Are you sorry that Sam & Cat has been cancelled? Do you think the show should have been renewed? Sam & Cat: Cancelled by Nickelodeon? I like this show called sam and cat please donot hangout its seasons ..
WHY DOES THIS FILM HAVE TO GO AND HOW IS THERE A SEASON 2 I SERIOUSLYWANT THEM TO MAKE A SEASON 2 BCAUSE THIS IS LIKE THE BEST FILM EVER NOOOOOOOOOOOOOOOOOO!!!!!!!!!!!!! Why did you guys cancel Sam and Cat? It’s the funniest and cool show!!!!!!!!!!!!!!! Please bring back Sam and Cat!!!!!!!!!!!!!!!!!!!!!!!!!!!!!!!!!!!!!!!!!!!!!!!!!!!!!!!!!!!!!!!!!!!!!!!!!!!!! Why would you cancel sam and cat that is my favorite show in the whole entire world that is the meanest thing you have ever done Nickelodeon every body loves that show and you had to cancel it!!!!!!!!!!!!!!!!!!!!!!!!!!!!!!!!!!!!!!!!!!!!!!!!!!!!!!!!!!!!!!!!!!!!!!!!!!!!!!!!!!!!!!!!!!!!!!!!!! No wonder why you are not the best channel any more wow!!!!!!!!!!!!!!!!!!!!!!!!!!!!!!!!!!!!!!! Jennette Mcurdy if you are reading this don’t put leaky photos on the internet people will see it and complain daaa and Dan Shnider if you are reading this please put sam and cat on the air please!!!!!!!!!!!!!!!!!!!!!!!!!!!!!!!!!!!!!!!!!!!!!!!!!!!!!!!!!!!!!!!!!!!!!!!!!!!!!!!!!!!!!!!!!!!!!!!!!! i love this show it is my top ten favorit. First it was those “Totally Terry’s” and now this? Wonder if Nick has a Frozen head down in their Bowels? Hey maybe I’ll go to Italy & hang with Carly & have some Spaghettie Tacos!!!! !